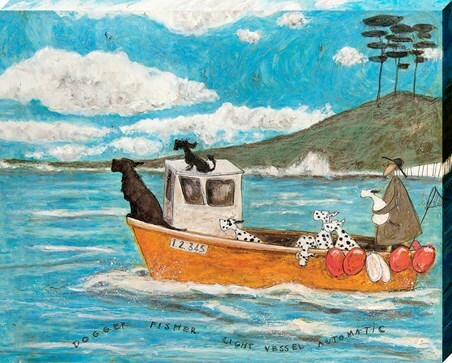 British Art Canvas Print: This magnificent canvas depicts one man and his dogs walking upon a beach. 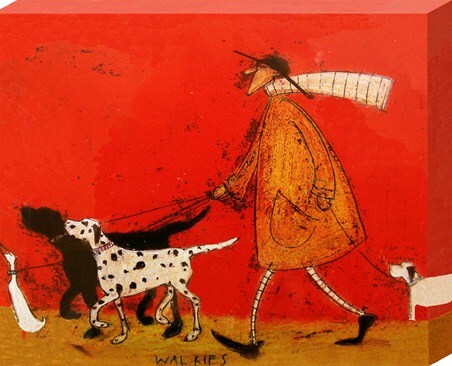 The dalmatian dogs are bouncing around with excitement, whilst Mr Mustard walks cautiously forwards with his umbrella held to the side, sheltering himself from the wind. 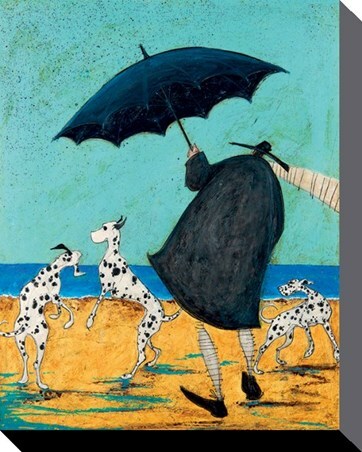 British artist Sam Toft manages to capture everyday, ordinary scenes and make them extraordinary and this picture, entitled 'On Jack's Beach', is no exception. Hang this heart-warming canvas on your wall and let it colour your surroundings. 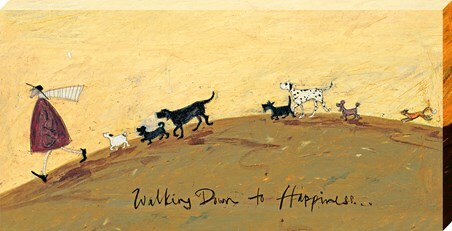 High quality, framed On Jack's Beach, Sam Toft canvas print with a bespoke frame by our custom framing service.